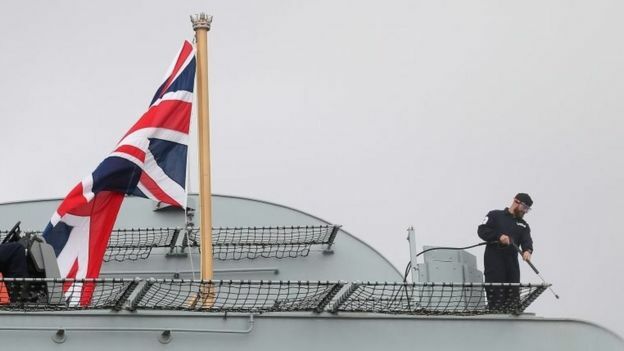 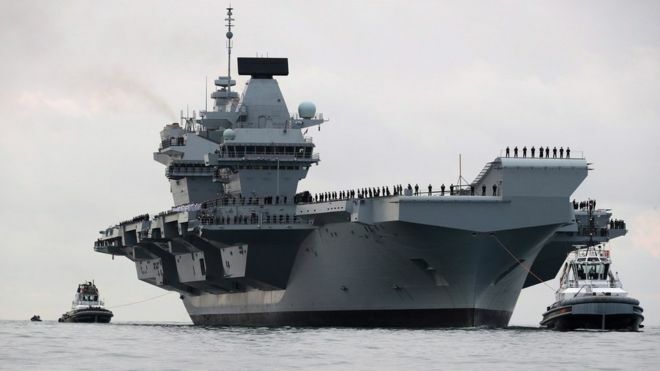 The Royal Navy's £3.1bn future flagship is expected to leave Portsmouth Naval Base at about 18:00 BST. 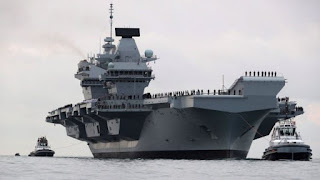 They are expected to carry out 500 landings and take-offs during the carrier's 11 weeks at sea. 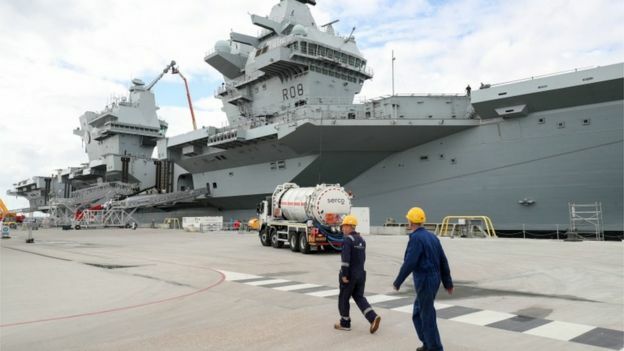 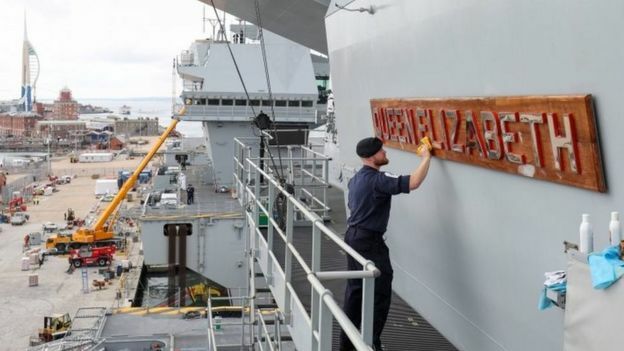 On leaving Portsmouth, HMS Queen Elizabeth will carry out tests in UK waters before heading across the Atlantic to the US where it will also visit New York.